probably end up completely rearranging my furnishings and some of the wall hangings in order to create the perfect spot that displays my Christmas tree just right. It’s funny how important that silly tree becomes during the holiday season. It begins as a simple tree, and we spend hours decorating it with love as we add our favorite ornaments, tinsel and garland in order to make it into a centerpiece for our Christmas gatherings. Did you ever wonder how the tradition of Christmas trees began? Well I certainly have, so I decided to do a little bit of investigating. If you’ve got a few minutes, then by all means pour yourself a mug of hot cocoa and grab a few cookies, and let me tell you about what I found out. trees that would bloom in the spring. d to recreate the scene for his family. He erected a large tree inside his home and wired candles to the branches. Christmas trees were not widely accepted by Americans until many centuries later. It is believed that this was in part due to the fact that many Americans believed that Christmas trees were Pagan symbols. Additionally, the New England Puritans believed that Christmas should be solemn and sacred, and therefore any celebratory traditions like Christmas carols, decorations, or celebrations held outside the church were punishable by law. It wasn’t until the late 19th century, when the Puritan legacy began to fade, that Christians began to gleefully celebrate Christmas. 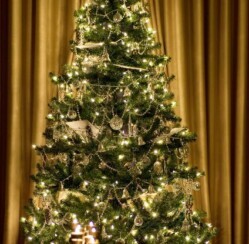 By the 1890’s, Christmas trees were a common sight in American homes. While most German-Americans continued to use things like apples, cookies and nuts to decorate their Christmas trees, Americans decorated their trees with homemade ornaments, popcorn that had been dyed bright colors and strings of berries. The birth of electricity brought with it a whole new concept on Christmas tree decorating, and eventually electric Christmas tree lights were added. These days, Christmas trees have not only become an American tradition, but a tradition around the world as well. What types of ornaments do you use to decorate your Christmas tree? 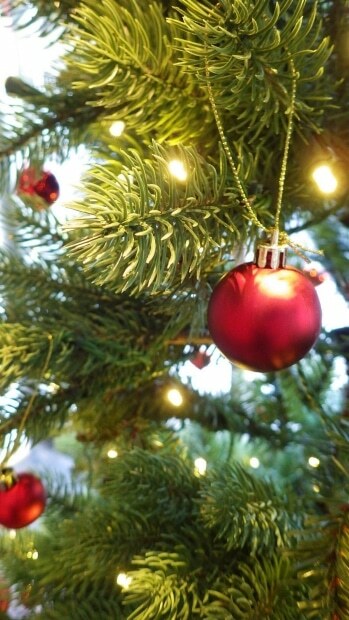 Do you prefer to use a real tree or an artificial tree for your holiday celebrations? Tell us about it here!